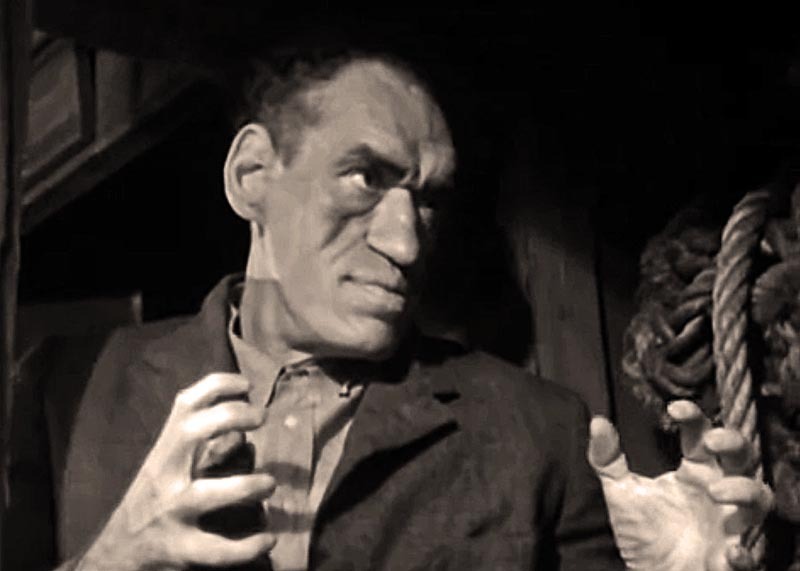 Lioncorn: Happy birthday, Rondo Hatton. 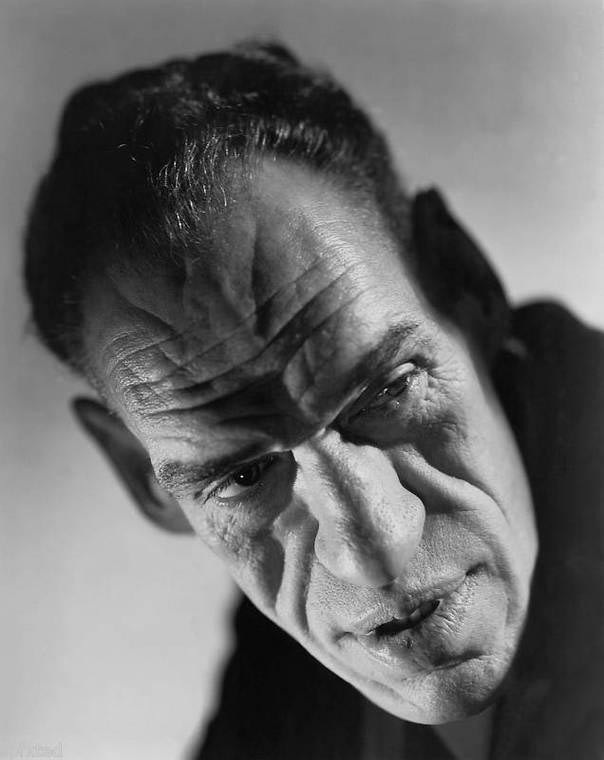 Rondo Hatton was born on April 22, 1894. Rondo's parents were both teachers. Rumor has it that Rondo was voted handsomest boy at Hillsborough High School. In the picture below, Rondo looks handsome enough. It notes that his nickname was "Krum." I also love the quote from Julius Caesar, "Yon Cassius hath a lean and hungry look; Such men are dangerous." I can't see how it fits in any way. Perhaps Rondo picked it. If not, it seems mean. Rondo was also a punter for the football team. Rondo worked as a reporter after high school. He then served in the Army during World War I. After the war, while Rondo was working again as a reporter his face began to slowly swell up. He was diagnosed with acromegaly. Acromegaly is associated with gigantism; the anterior pituitary gland produces an excess of growth hormone. Soft tissues in the face grow, feet and hands grow, the skull can sometimes grow. Soft tissue in some internal organs may grow. The soft tissues of Rondo's vocal chords grew, creating a deeper voice. The disease required him to get extensive surgery on his teeth and at one point his cheekbones were replaced with metal braces. Even with all of the horriblenes acromegaly delivered to him, Rondo was usually very upbeat. He once said, "In a veteran's hospital, you will see so many guys so much worse off than you are that.. well, if there's anything left in you, you quit feeling sorry for yourself." In 1930, a Hollywood director, Henry King, spotted Rondo while he was working as a reporter and hired him. Rondo appeared in two films and then went back to reporting. Rondo married a woman named May, who, ironically had previously been in an extremely unhappy marriage with a dashing young man. Within a few years, Rondo's condition got much worse. The bones in his feet deteriorated so bad, he couldn't walk for a short time. He needed money and decided to move to Hollywood to pursue acting full time. With his beautiful mug, Rondo quickly secured work and paid for braces. Rondo acted in more than a dozen films, mostly uncredited. In 1944 he played The Hoxton Creeper in the Sherlock Holmes film, The Pearl of Death, and began making a name for himself. My buddy Vince did a lot of research for this article. He adds, "Even in his supporting roles in films like Jungle Captive and The Spider Woman Strikes Back, Hatton received exploitational billing on the movie posters as Moloch the Brute and Mario the Monster Man." Rondo became a star when he stepped into the role of The Creeper in Universal's horror film, House of Horrors. Universal had the idea that The Creeper would be their next famous monster, advertising him as the first monster to not need makeup. The 'no makeup' slogan was true. However, Universal makeup artist, Jack Pierce, did build up Rondo's slim shoulders with stocky, padding for The Creeper role. The Creeper's second outing was The Brute Man. Rondo really had problems with his dialog at this point. Some people believe the acromegaly was affecting his brain. His co-star in The Brute Man, Jane Adams said, "His mentality was just-average. He had an awful time remembering his lines." Unfortunately, shortly after Universal filmed The Brute Man, Rondo died. It was heart problems brought on by the acromegaly. 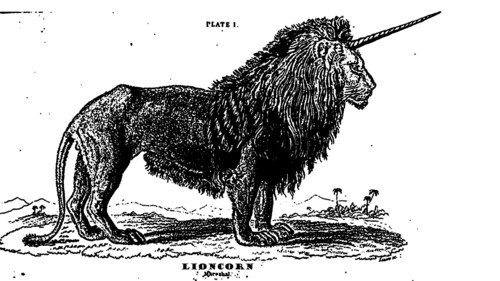 Universal had a change in management and direction in 1945. They cut out their B-Picture productions and sold off their films which ran under 70 minutes. A company called PRC released The Brute Man eight months after Rondo died, in 1946. Here is the entire film. The quality is pretty darn good, but watch it on YouTube in a larger size. Amok Time Toys also did an amazing 12" Rondo Hatton action figure. Unfortunately, it is sold out. Daily poster: The Haunted Palace. Daily poster: Son of Frankenstein. Texting during films, yeah, it's cool. Sadako throws out first pitch. Daily poster: Dawn of the Dead. A Space Time! Adventure told on your torso. 7th Annual Secret Film Film Festival. Daily poster: Friday the 13th part 4. Daily poster: Fritz the Cat. Sitting in Silence with Johnny Depp. Matt Groening talks about the real Springfield. An Infinite Comic Book of Musical Greatness. Sci-Fi fandom in the 70's. Daily poster: The Mummy's Ghost. Daily poster: The Sword and the Sorcerer. Big score at the flea market. The Witchfinder Cycle: Witchfinder films of the 60's and 70's. The top ten Poliziotteschi / Eurocrime films for your eyballs and earholes. The covers of Hara Kiri. The History of Universal's Frankenstein Monster.